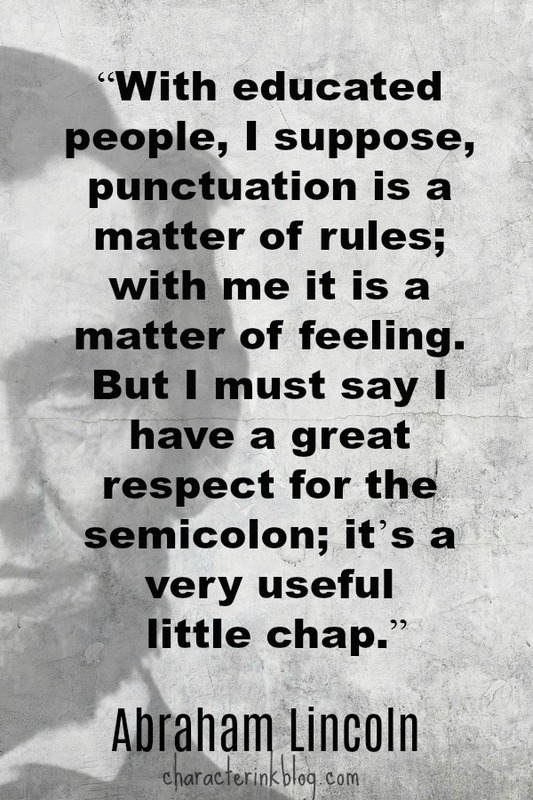 As a matter of fact, I don’t just teach my students and curriculum users how to use the semicolon. I include it in my classes and books as an expectation and application in writing. I do this by including the “add a semicolon to your paper” task in my Checklist Challenge (a task list used by students in just about every project they write in my books). So how DO we become part of my “very estimated” ten percent of adults who can use a semicolon to create a compound sentence? And even more importantly (for my purposes with amazing kids all across the country—I REALLY love kids! ), how do we teach our students the proper use of the semicolon? Stay with me. First the rules—and then a Tricky Trick Sheet for you to use with your amazing learners! Example: She likes work; she loves vacation. The most important thing to remember is that both sides of the semicolon must contain an independent clause (or complete sentence). That means each side must have a subject and a verb and be able to stand on its own. 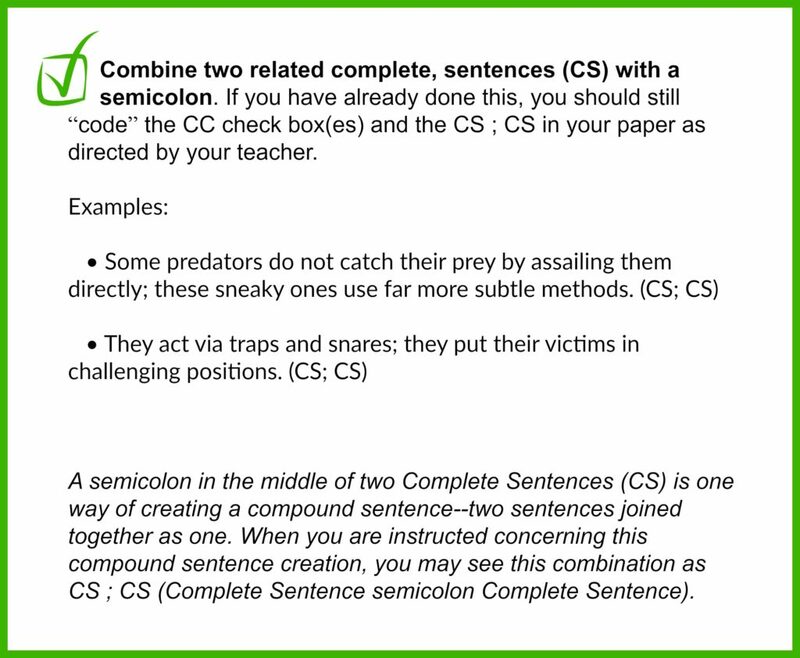 You should only use semicolons to combine two closely related independent clauses. No: Bambi is a deer; I like casserole. While this does contain a complete sentence on both sides of a semicolon, it shouldn’t be one sentence (and probably not even in the same paragraph). The purpose of semicolons is to link ideas together. Yes: Sue likes work; she loves vacation. This could be two separate sentences. However, by linking them together with a semicolon, it makes the similarities more obvious. Your writing will look even more “highfalutin” (can you tell I just looked that word up and found that it is one word, not two, which I think is super cool?) 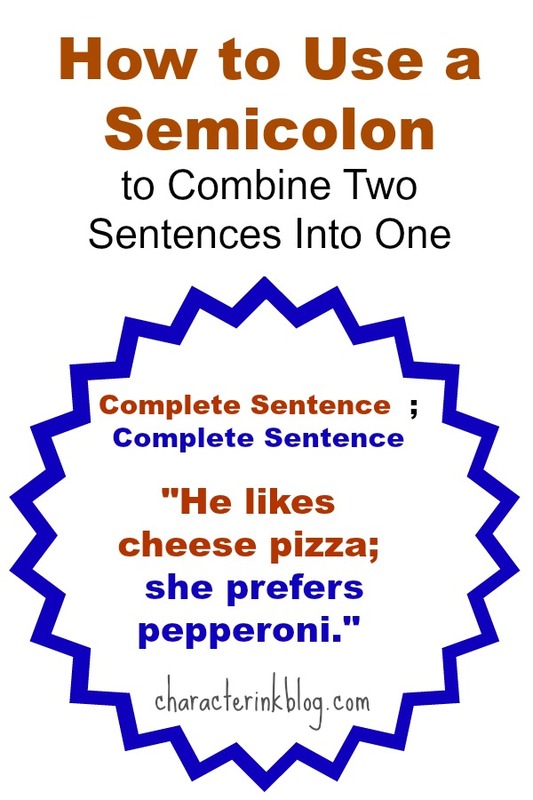 if you use a semicolon to combine two sentences into one sentence CORRECTLY—and with a strong link. She worked a long day; she slept well. The first part of this sentence gives the cause while the second gives the result. This provides the link between the two clauses. Before and After: He entered the room nervously; he left excitedly. Contrasting: It was the best of times; it was the worst of times. Cause and Effect: She worked a long day; she slept well. 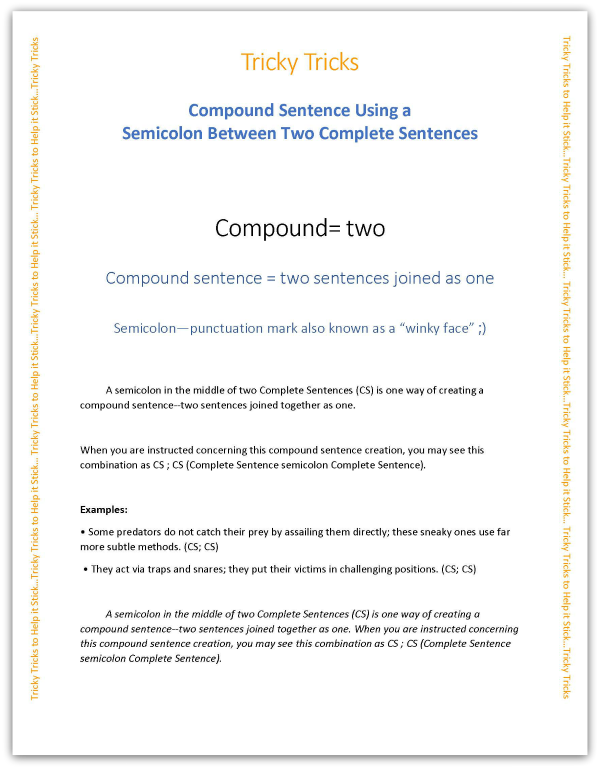 Semicolons can be a great tool to show off your (and your student’s!) advanced writing skills. You probably shouldn’t use more than one or two of this style of sentence in the one essay, but definitely use it. Just be sure both clauses are related in some way and they are both independent clauses. And like I always tell my students…if you don’t know how to do it correctly, don’t do it at all. It is super obvious that someone doesn’t know what they’re doing when they use an advanced punctuation mark incorrectly. It shouts out to readers who do know how to write with them correctly. P.S. 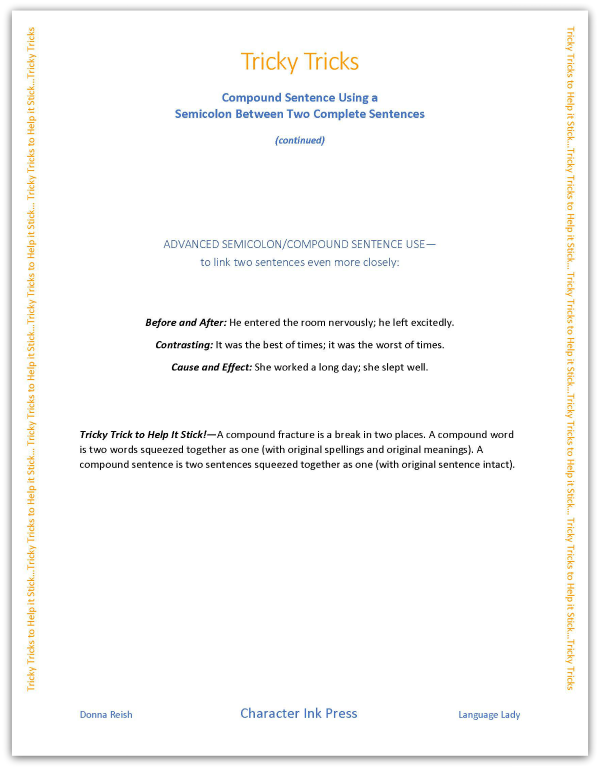 What sentence structures do you have trouble teaching your kids (or using yourself)? Let me know, and I’ll write a post about it—and make you a Tricky Trick Sheet! ?